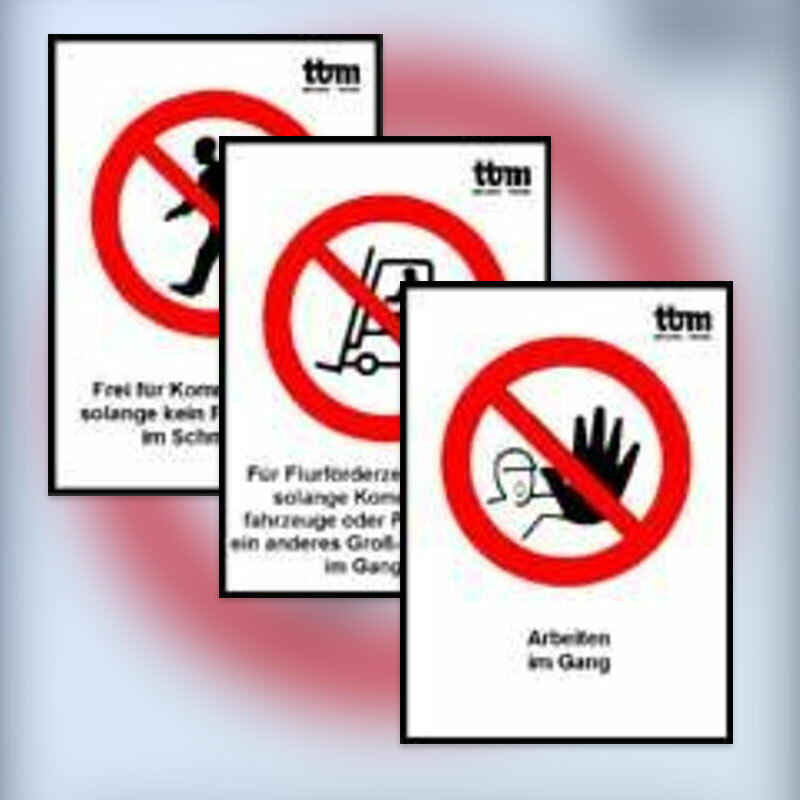 With effective equipment we ensure the necessary protection at specific hazard points throughout the entire warehouse area. According to regulations and safely. 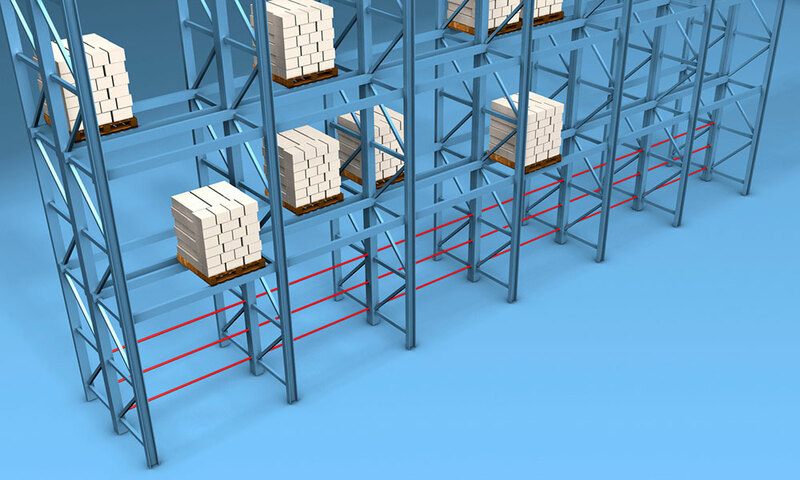 In accordance with the Regulation BGV D 27 (Employers' Liability Association Regulation) and DIN 15 185-2, cross-aisles within a storage rack must be especially protected. 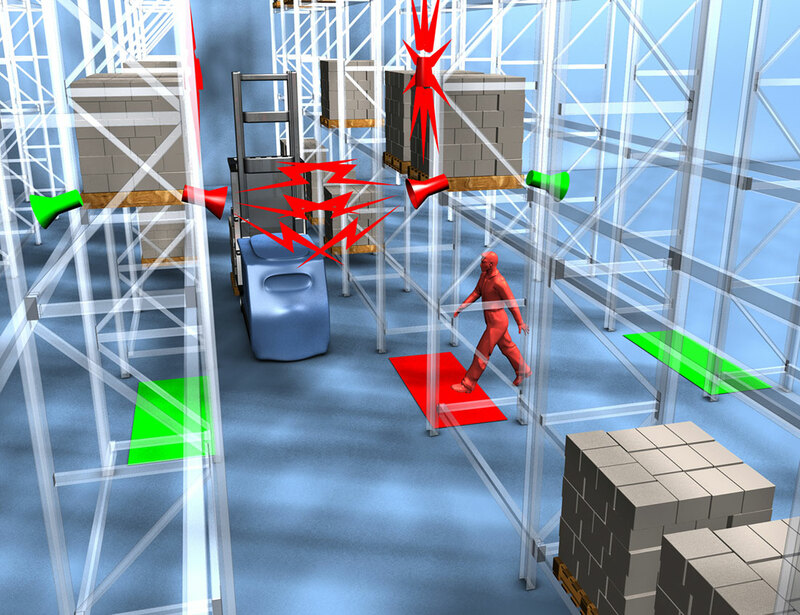 The cross-aisle safety system, QGS-107, monitors the entire area of a storage rack through-path. A person who enters a cross-aisle triggers an optical / acoustic alarm on both sides of the rack – or stops the approaching vehicle for so long as the person is in the cross-aisle. The climb-through protection system, DSS-107, consists of three ropes lying one above the other stretched between a double rack. Spring mounted so that no damage can occur during the loading or removal of goods. Thus the simple climbing through of a storage rack is effectively prevented. The DIN A3-sized traffic signs, VZ-107, with the necessary additional text attract the necessary attention of the pedestrians. 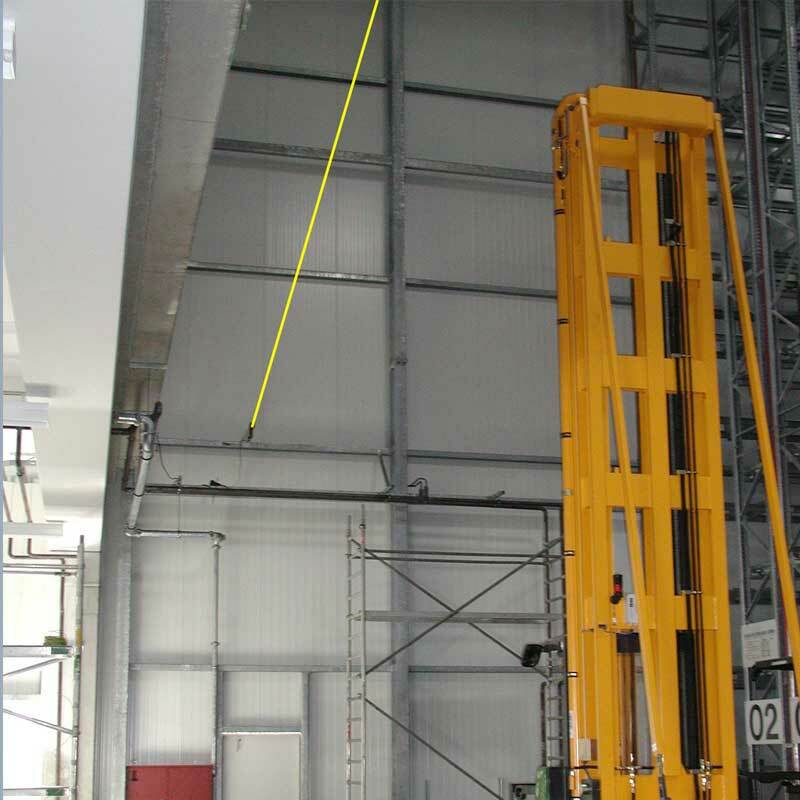 Beams or doors / through-paths are a particular source of risks when the mast of an industrial truck has been raised too high. The Collision Protection System, AFS-107, is the solution for this. The through-path and / or the beam are equipped with a high-performance light barrier and a radio transmitter. If the light barrier is broken by the mast, the vehicle is stopped via a radio signal sent to its radio receiver.